Every year is a new beginning and I am very excited to welcome our new fifth and sixth grade class. 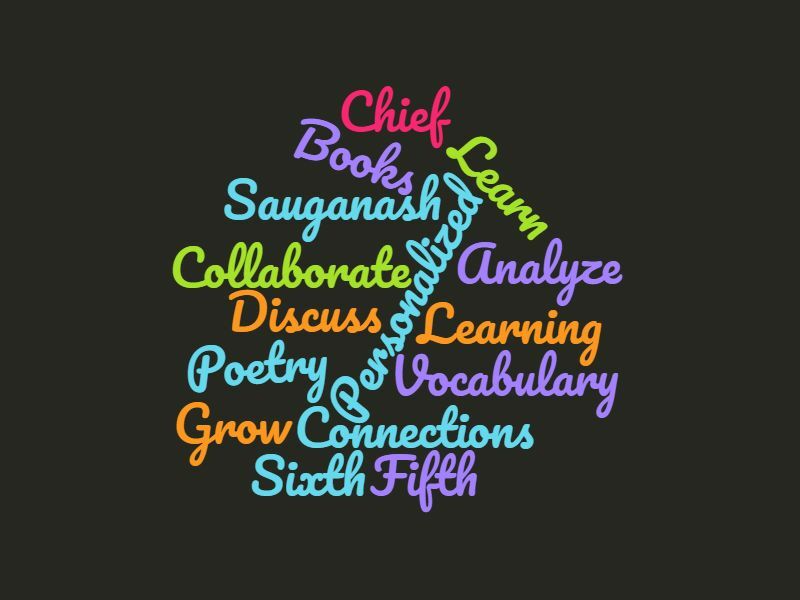 To introduce myself to the parents and students who don't know me... My name is Mrs. Mary Biesty and I have worked at Sauganash School for over 20 years in a variety of positions including seventh grade language arts and social studies, technology, and even kindergarten! I am married (for 28 years!) with one son, Corry, and Bear a large mixed breed dog. I love reading, history, walking my dog, and keeping up on current events/politics. This summer, my husband and I went on a European river cruise through Germany and visited Amsterdam and Zurich. It was my first trip to Europe and I loved it! This year I begin a new adventure… teaching language arts to fifth and sixth grade students. I am very excited to work with your children and hope to bring my enthusiasm and love of literature to them. We will be reading engaging books and participating in lit circles, enjoying a variety of short stories and informational articles in Scope and Storyworks magazines, and analyzing and writing poems that help them to appreciate the beauty of the english language. Wordly Wise, NoRedInk, and Compass Learning will also be a part of the curriculum. My means of communication is through my weebly site, emails, REMIND,and phone calls when needed. . Please feel free to send me an email (mmbiesty@cps.edu) if you have a question or concern. I strive to return all emails and phone calls within 24 hours. Students need to be responsible for recording assignments either in their assignment notebook or a Google form. They can also capture a picture of my assignment board on their phone. I use Google Classroom to post assignments, directions, due dates etc. Late assignments will receive a lowered grade and missing homework assignments receive no credit. Thanks in advance for your support this year and am looking forward to our new beginning!